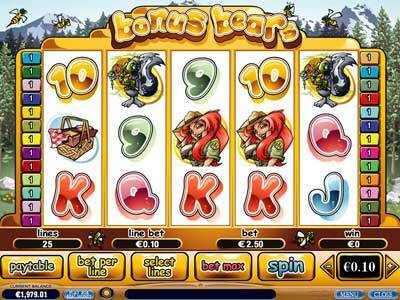 The object of Bonus Bears is to obtain a winning symbol combination by spinning the reels. This new video slot game is packed with features. There are scatter and substitute symbols and 2 great bonuses. Get 3 substitute symbols and win free spins with 3x multiplier. 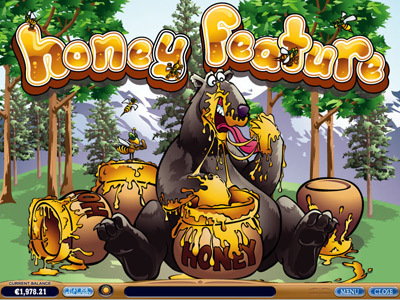 Get 3 or more scattered beehives and enter the honey feature bonus to collect the honey and win extra cash.